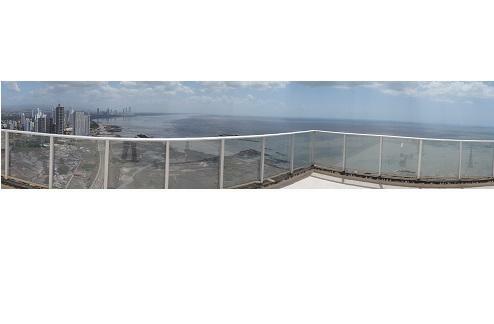 Penthouse for sale in Oceanaire with 200 m2 plus a terrace of 120 m2. The apartment is on a high floor ensuring that it is free from noise and has one of the best views of the city and the sea. Has a living room, two bedrooms (one HUGE), two bathrooms, maids room and has allocated 2 parkings. You can also dine or enjoy a cocktail in its own large terrace overlooking the city. This penthouse is within walking distance of John Hopkins Hospital, The Multi Mega Plaza Mall, exclusive restaurants and supermarkets. Punta Pacifica is the most sought and prestigious area in the city of Panama. Trump Towers is just a block away. You will be impressed with this unit.